Georges Méliès was a magician who became a legendary early French filmmaker, the first to use complex special effects to tell imaginative stories that did not reflect the real world. He then lost nearly everything, including his films and his automata, due to business and financial reverses and the development of film beyond where he had taken it. This is a fictional story of Méliès in his later years, and the young boy who helps to pull him out of his decline. Hugo Cabret is the son of a clockmaker who runs his own shop, and also works at a local museum, repairing clocks, automata, and other machinery. In the attic of the museum he finds an amazing automaton, a man sitting at desk, holding a pen, poised to write. It's in terrible shape, but he shows it to Hugo, and starts work on repairing it during his spare time at the museum. This is a clear, highly readable, and fascinating account of the Boston Tea Party, what led up to it, what followed, and how this became the spark that created the American Revolution. Many things have been said and repeated about the Tea Party that simply aren't true. It wasn't about the tax on tea making tea unaffordable; the tea duty had been cut to the point it was undercutting the smugglers bringing in Dutch tea. It wasn't an act of vandalism by drunken thugs. the Tea Party crew were all responsible citizens, small merchants, professionals, farmers, and skilled craftsmen of Boston and the surrounding countryside. They were extremely careful to do no damage except to the tea, and to cause injury to no one. 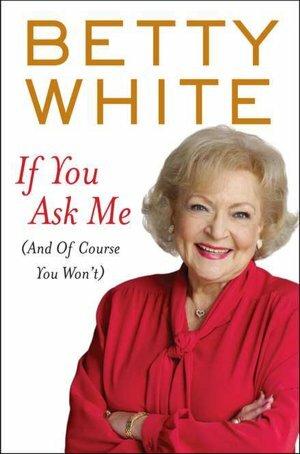 This is a delightful meander through memories and daily life by the delightful Betty White. It's organized topically rather than chronologically, and covers the wide range of Ms. White's interests, including acting, writing, her family and friends, and of course her dedication to helping animals. Some of the reminiscences included are working on the three hit tv shows that have defined her acting career--The Mary Tyler Moore Show, Golden Girls, and Hot in Cleveland. She also talks about her entirely unexpected and at first not entirely welcome guest host stint on Saturday Night Live, as the result of a spontaneous, popular Facebook campaign. In the end she enjoyed the experience, but initially she dreaded it, because she's just not accustomed to the kind of comedy that defines SNL. Ms. White's many fans in the animal rescue world will be pleased that she also includes several reminiscences about her own pets and some of her pet rescue activities--although in a typically modest way that belies her impact. It would be wrong to say anything more about this book. It's an enjoyable read, and if, as I did, you listen to the audiobook, Ms. White herself reads it in her own thoroughly engaging style. In 2006, Benjamin Mee and his extended family bought a broken-down, failing zoo in the English countryside, the Dartmoor Wildlife Park. If that isn't odd enough to get your attention, the reason should: Mee's father had died, his widowed mother could not maintain their big house on her own and would not be happy in a smaller home where she couldn't have all her children and grandchildren visit regularly. And several members of the family, including Benjamin Mee and his mother, had a dream of running a zoo. That's right. They bought a zoo, in part, to be a family business, and in part, to be a retirement home for their elderly mom. This is the re-release of a delightful mid-80s novel of mid-50s Catholic school girls coming of age. Peggy Morrison, her friends and classmates Con and Molly, seniors at Immaculate Heart of Mary High school, and her neighbor and boyfriend, Sean McCaffrey, a senior at Sacred Heart of Jesus High School, struggle with the challenges of growing up and entering adulthood. Peggy and Con dream of being writers and journalists and living a glamorous life in New York City. Sean plans to be a priest, and will be entering the seminary after graduation. This is an intentionally opinionated history of the Supreme Court of the United States of America. Burns brings his considerable historical knowledge and literary skill to bear on what has sometimes been the most respected institution in American government, and at other times derided as partisan and backward-looking. As he traces its development from the words in the Constitution and the brilliant, energetic, ambitious, and forward-thinking John Marshall, through to today's Roberts Court, it becomes clear that Burns considers the latter view to be correct for most of the Court's history. This is the third mystery involving Hancock County (WV) Prosecuting Attorney Joshua Thornton and Pennsylvania State Police homicide detective Cameron Gates, though the first that I've found and read. They are also a couple. When crime spills over the border between their states, sometimes that helps them work together, and sometimes it creates an uncomfortable conflict of interest. They're both widowed; Cameron's husband, also a PA state cop, was killed in a traffic stop gone bad, and Joshua's wife died after many years of marriage and several children, only the youngest of whom, Donny, is still at home. This is a really fun mystery, set in the AKC dog world--in this case, the dog obedience circuit.It captures in a fun way both the nutty obsessiveness and the genuine love of animals that so often characterize the competitive dog world. Janet McPhail is a professional photographer who competes, for fun, in dog obedience with her Aussie (Australian shepherd), Jay. 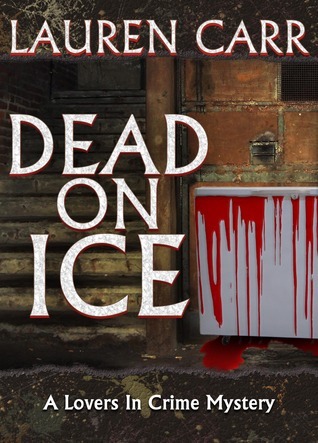 On one fine, sunny morning, they're at a competition, and a far more serious competitor, Abigail Dorn, falls to the ground, in obvious distress--and dies in the ambulance on the way to the hospital. As one of the first to Abigail's side, along with her husband Greg Dorn, and the person who takes home her dog, Pip, and cleans up the food at the Dorns' crate set-up, Janet becomes at least officially a "person of interest" for the police, when they determine that Abigail was poisoned.